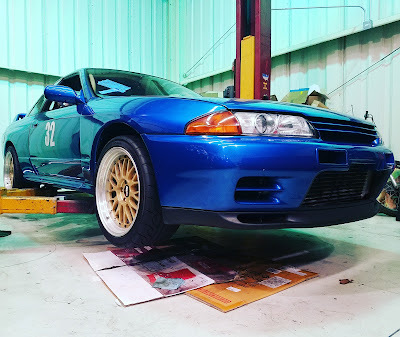 What Wheels Fit My R32 Nissan Skyline GT-R? BBS LM Wheels . 18 x 10 + 20 offset. Now that we are seeing more and more legally imported, over 25 year old JDM Nissan Skyline GT-R in the US, there are lots of questions. One of the more common questions is : What wheels fit? What will these wheels look like? What is the widest wheel that will fit? What is the most aggressive fit? First question - What do you do with your car? Is it a daily driver? Is it a weekend car? Is it a car you use at the drag strip? Do you use it on the road course? Second question - What brakes are you running? Brakes make a big difference in what wheel and tire will clear and fit. Third question - What compromises are you willing to make? Everything is a compromise, which are you willing to make for look vs performance. We see people touting lots of wheel sizes on their car, that they say fit, but we have no idea what they actually mean by that. 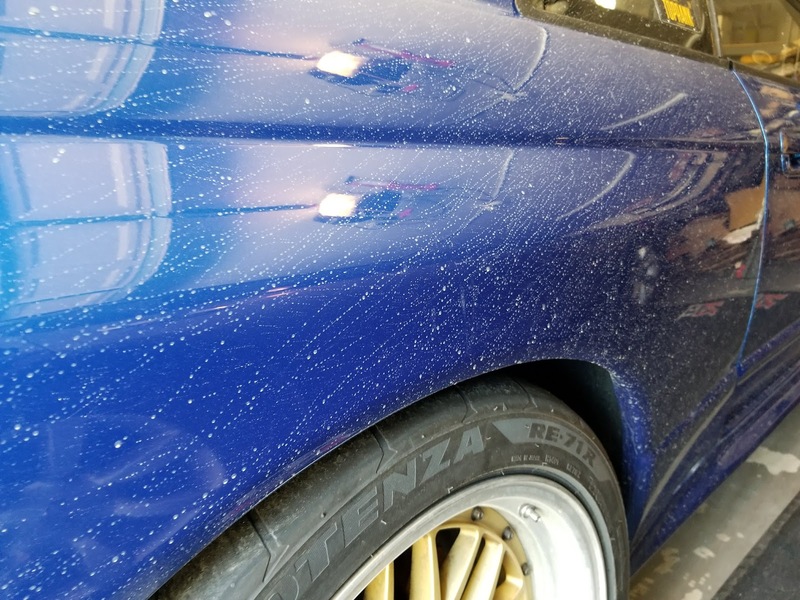 If you have to put so much camber into the car, to fit the tire/wheel within the body lines then you are making some serious compromises in tire useage and braking. While we are fans of the widest wheel and tire possible, there are real limits to what works for performance. Once you start going stupidly outside of the body lines, you are effecting aerodynamics, braking, and handling. 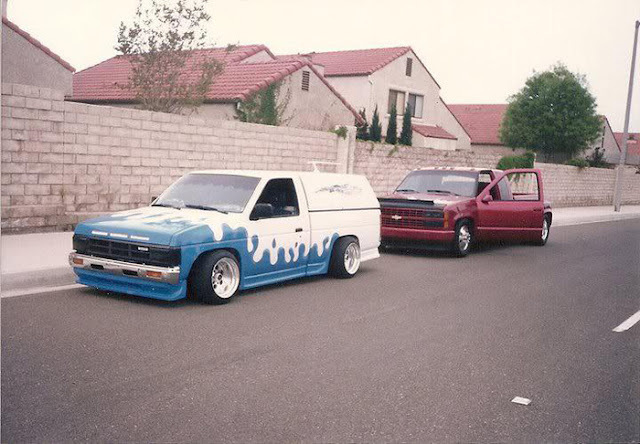 When we see some peoples fits- it brings 1980's Mini Trucking to mind. On an R32 GT-R, about as wide a tire as you can go within OEM body lines is a 285/295 depending on brand on a 10.5 wide wheel. At that width it will/can rub depending on ride height, camber, suspension, offset, and actual tread width. 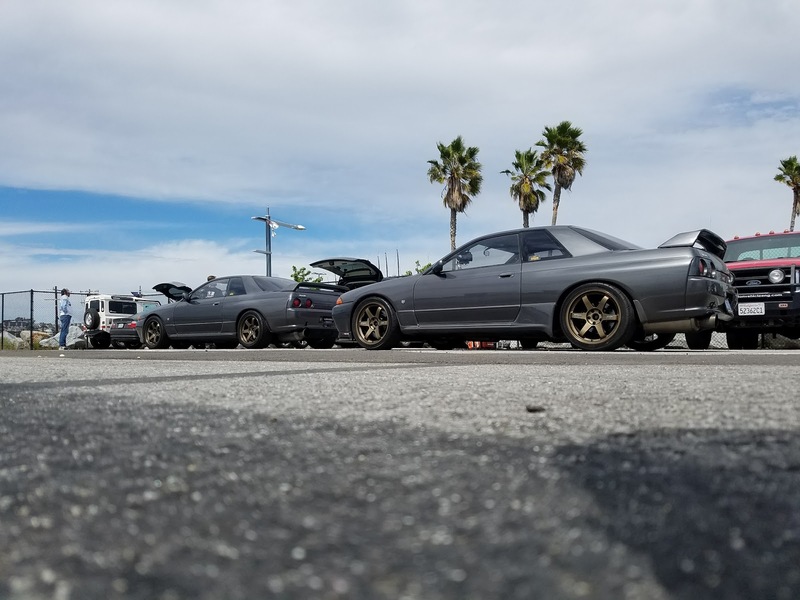 18 x 11 +18 Volk TE37 Time Attack on an R32 GT-R with 305/35/18. If you think these fit, you are part of the problem, not the solution. 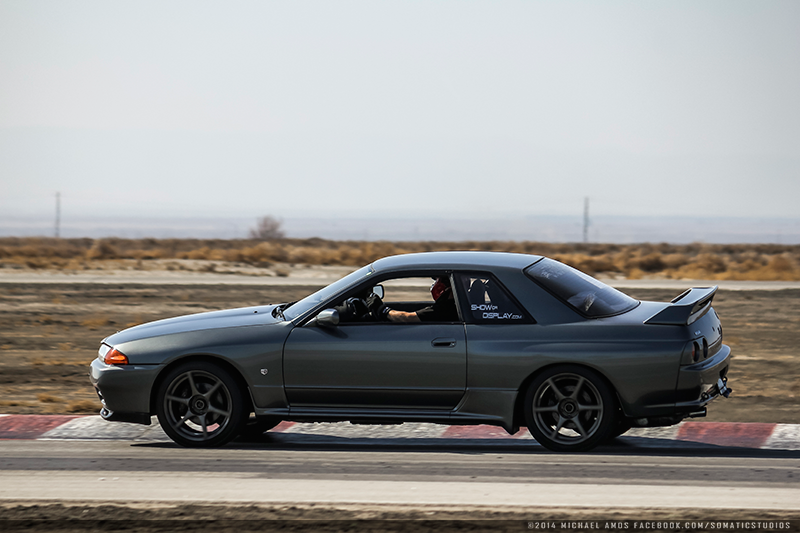 A relatively normal size for an R32 would be a 17 x 9 (+20 to +30) with a 245 to 265. That is an R33 GT-R size, and will have plenty of clearance assuming the offset isn't all jacked up. In an 18, then a 18 x 9(+20 to +30) with a 245 to 265. Again assuming someone isn't trying to run 0 offset, then this size will have little drama associated with it. 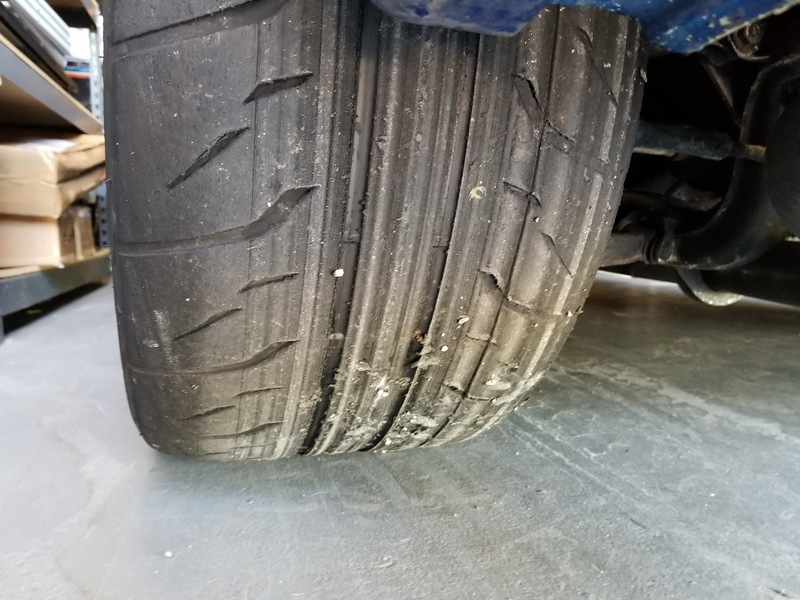 The tires are the same. They are both 305/35/18 Toyo RA1's. 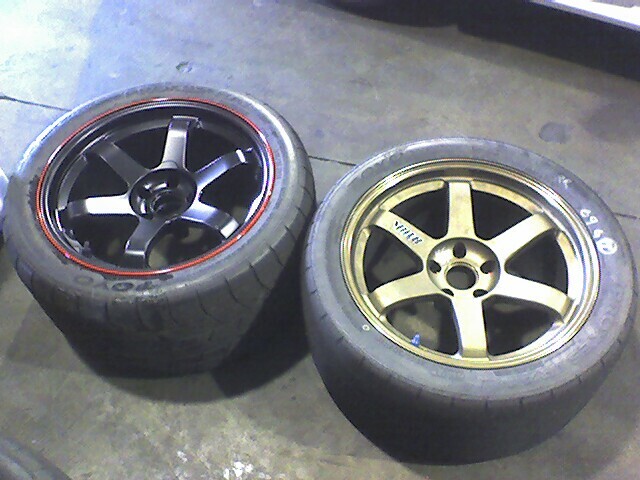 The wheel on the left is a 18 x 11, on the right a 18 x 10.5. Notice how much taller the 11 is. Notice how the 10.5 sidewalls are at an inward slant. 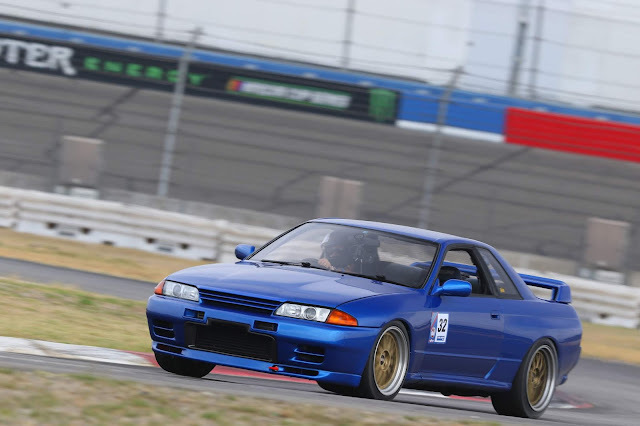 OEM R32 GT-R (not Vspec, or Vspec II) had 16 inch wheels. 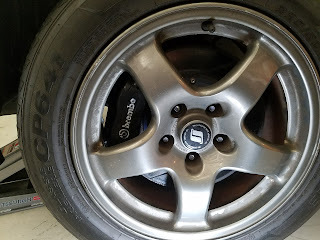 OEM 16 inch wheel over a Brembo brake. It is making contact with the barrel. 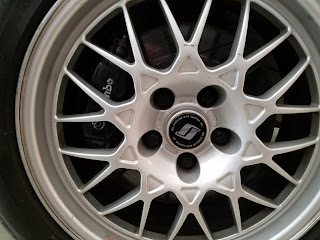 The Vspec, and Vspec II R32 GT-R had 17 inch wheels to clear the OEM Brembo brakes. 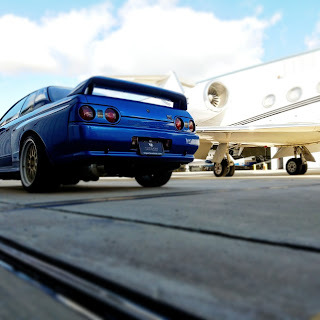 The R33 GT-R came with 17 inch wheels. Do 16 inch wheels fit over Brembo brakes? 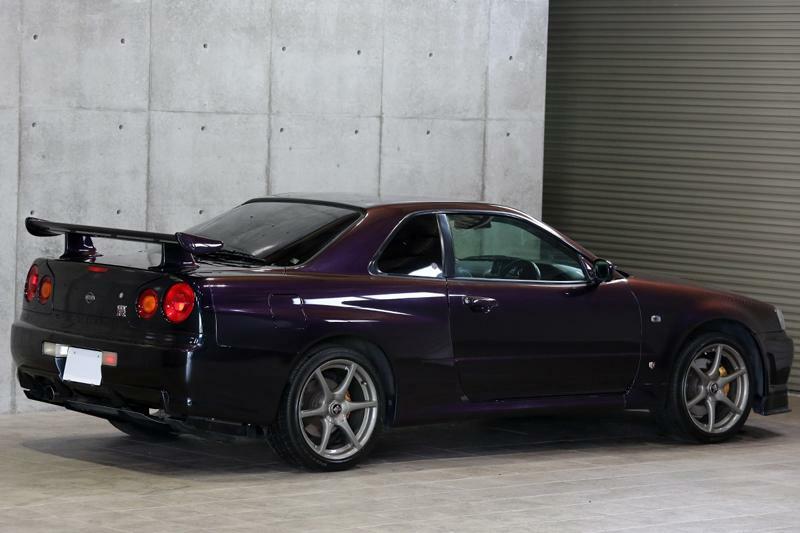 The 1999-2002 R34 GT-R had 18 inch wheels. 18 x 10 BBS vs 18 x 9.0 LMGT4 Both 265 tires. 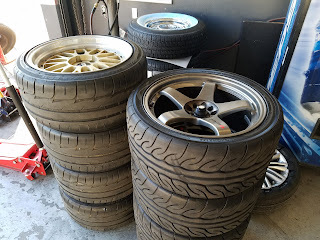 18 inch Volk TE37 and 17 inch Volk TE37.